It is worth talking briefly about the reason for this division since each group presents different actions, indications and side effects. Calcium channel blockers dihydropyridines are the most indicated for the treatment of arterial hypertension because they present a great vasodilatory effect. Drugs belonging to this group will be the focus of this article. Non-dihydropyridine calcium channel blockers have a lower vasodilatory power, but have an effect of decreasing heart rate and contractility, thus being options in patients with arrhythmias or cardiac ischemic disease. Calcium channel blockers, especially the dihydropyridines group, are very effective drugs in the control of arterial hypertension. In mild hypertension, calcium channel blockers can be used as a single drug; in hypertension requiring more than one drug for control, combination with diuretics, ACE inhibitors (enalapril, ramipril, lisinopril...) or ARA2 (losartan, irbesartan, candesartan...) are great options. 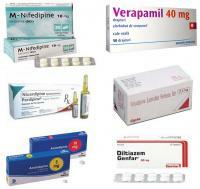 Calcium channel blockers are antihypertensives that work very well for elderly or Afro-descendent patients. In these two groups, calcium channel blockers and diuretics are the drugs with the best performance. However, in Caucasian (white) and young patients, calcium channel blockers are not usually the best option for starting treatment. In this group, diuretics and ACE inhibitors (or ARA2) are indicated. Calcium channel blockers are only the 3rd option. 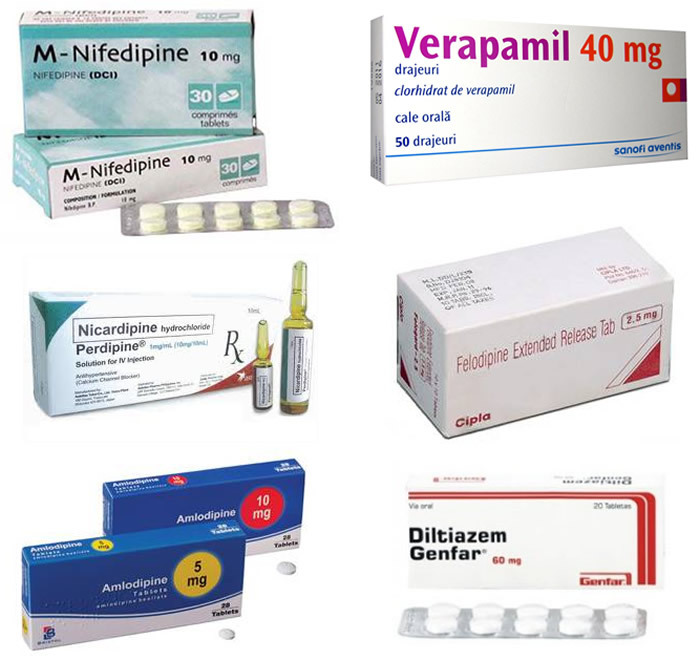 Non-dihydropyridine calcium channel blockers (Verapamil and Diltiazem) are not considered first-line drugs in the treatment of hypertension and should only be used for this purpose if the patient has other indications, such as cardiac arrhythmia, for example. Calcium channel blockers are drugs with a good safety profile and do not usually present serious adverse effects when well indicated. The most common side effect is the appearance of edema of the feet. This edema usually does not improve with the combination of diuretics, but with ACE inhibitors. There are cases that edema responds to dose reduction, however, some patients only get rid of swelling with the drug suspension. Reducing salt intake may help. Edema, in most cases, causes no relevant problem other than aesthetic discomfort and shoe-shaping. Some patients have to learn to cope with it if they can only control their arterial pressures with a calcium channel blocker. If the edema is severe, one should choose another drug to control blood pressure. Other common side effects of calcium channel blockers are headache, dizziness and intestinal constipation. The newer, slow-release formulations no longer have so many side effects, which were very common in the old presentation of Nifedipine (Adalat). Nifedipine currently prescribed is nifedipine retard (Adalat retard or Adalat CR) which has prolonged action and fewer side effects. A few years ago it was very common to use a quick-acting Adalat capsule under the tongue to treat hypertensive crises. This practice is no longer indicated because of the high risk of a rapid fall in blood pressure that can trigger ischemic cardiac and cerebral events. Non-dihydropyridine calcium channel blockers (Verapamil and Diltiazem) should be avoided in patients with severe heart failure or low heart rate. These two drugs should never be used in combination with beta-blockers because of the risk of severe bradycardia (heart rate below 50 beats per minute). So with most antihypertensives when used in older people, calcium channel blockers can also cause sexual impotence.